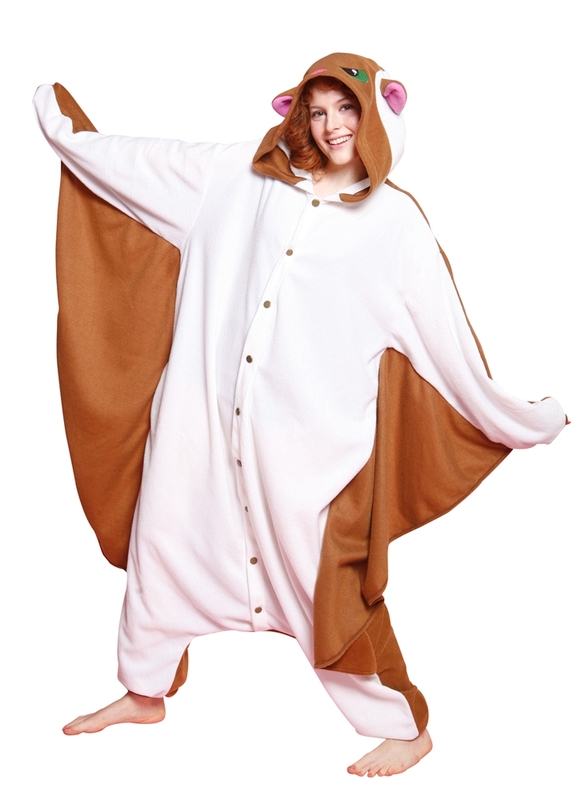 Transform into an insanely cute Japanese anime character with just a few snaps in this BCozy Flying Squirrel Adult Unisex Onesie. 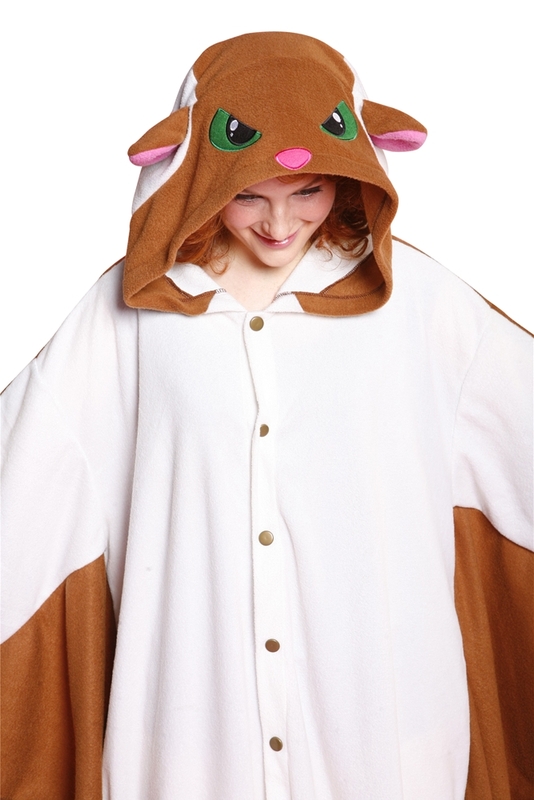 This isn't just a funny costume that's over the top comfy, they're also great as animal pajamas. 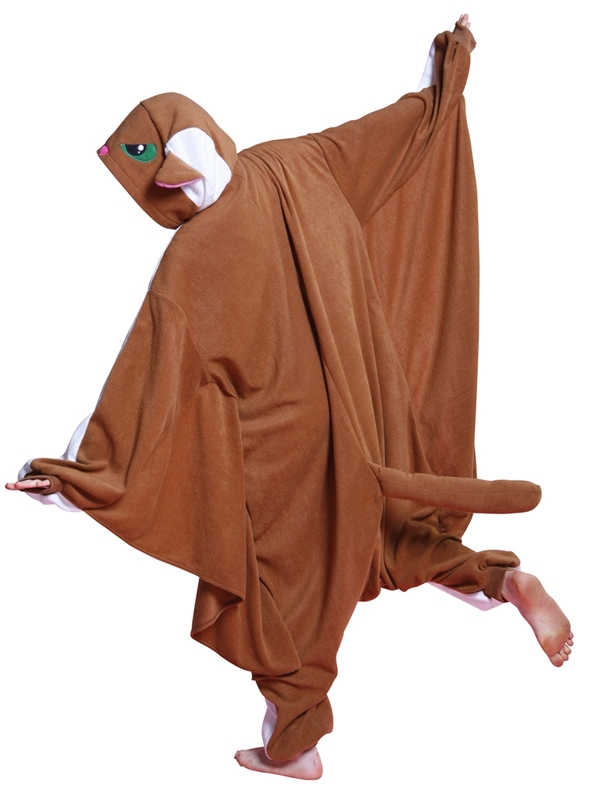 This onesie features a brown body, wings, and tail, with white front, green eyes, pink ears and nose on the hood.